Technology has made our lives easier especially by creating a better communicating system. Years ago, we were happy with getting the opportunity to communicate with others only with voice calls and text message. But now, we can feel the real life conversation due to the rapid use of video chatting approach. However, the Play Store has brought tons of free video chatting apps for Android. So, it becomes hard to find out a good one. Thinking about it, I have decided to write this article on this issue; I mean the best video chat apps for Android. 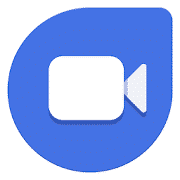 I have made a generic list of best 10 free video chatting Android apps, and I think you have already heard about most of them. Because they are very popular across the world. Also, they are good to provide high-quality video settings and many other important functions. So, let’s have a look over them, in short, to be more specific. 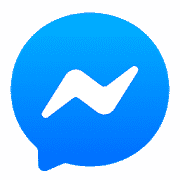 Facebook Messenger is the most popular and convenient Android video chat app for your day to day communication with your community. It helps you maintain a close connection with your Facebook contacts. It gives you the opportunity to use both voice and video calls along with instant messaging. Provides options for group chat and Interactive conference with your contacts at any time. Includes lots of stickers, GIFs, and emojis for a better experience. Integrated with instant video, audio and photo sharing capabilities. Provides free audio and video calling using WiFi networks. Gives you a secure way to share anything instantly and integrated with location sharing for better-personalized suggestions. Google Dou is an interactive video chat app for your Android phone owned by Google itself. It is easy to use and provides very high-quality video communication functionality. It is available on both Android and iOS and capable of running smoothly on phones, tablets and phablets alike. Also, it is very fast, accessible and packed tons of breathtaking features. Provides industry’s best quality video calling functionality with lots of portable options. Integrated with a voice call option for more versatility. Includes an option for video and audio messages for your convenience. Provides a very beautiful and simplified interface for a better experience. Supports a wide range of mobile networks and WiFi connectivity. Say hello to Hangout if you are the greatest fan of Google apps. 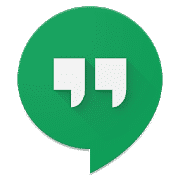 Yes, Hangouts is offered by Google LLC which is widely known as one of the best free video chat apps for Android. It is easy to use, safe, and a multifunctional app. Contacting visual and verbally with friends is the main function of this app. Also, a handful of amazing features are included which are enough to impress you. You can make the list of up to 150 people from your phone contact and group char list. It will keep you active through Android, iOS, the web, sync chats, and whatever technology you use. It can connect to the contacts even if they are not online. Let you enjoy group video chat up to 10 people. Let you connect your Google voice account for the usage of the phone call, chatting and so on. 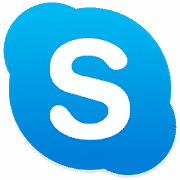 Skype is one of the best video chat apps for Android, iOS and Windows platforms. Here, you can enjoy the file sharing, instant messaging, and free call all in one place. It provides free audio and video calling all over the world with a very beautiful system interface and easy to use functionality. So, you will find it very hard to bring out a fault of this stunning app. Provides instant call, messaging, SMS & video calling with your friends, family, and contacts. Gives you options to use the app from your desktop computer and also from mobile devices. Includes video clips and photo sharing options. Provides interactive messaging options with the integration of lots of stickers and emojis. Offers full free Skype to Skype communication worldwide and very low-cost international phone calls. 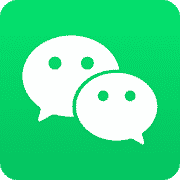 Wechat lets you connect with your friends and contacts visually and verbally at ease and free of charge. Being social is easy and fun more than ever. WeChat is not just an Android video chat app; it also provides updated news and informs about new trends while providing beautiful UI. Offers you easy and interactive ways to chat with your friends, family, and contacts. Provides high-quality voice and video calling options. Includes full functional location sharing capabilities for real-time tracking. Provides lots of customizable stickers, GIFs & emojis for a better messaging experience. Get updates about new stories from contacts and official sources. Integrated with group conversation facilities and provides a secure way of communication. 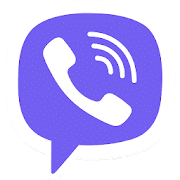 Viber is one of the most popular Android video chat apps right now which is also available on other popular OS. It offers a secure and simple way to connect with people through instant messaging, voice and video calls free of charge. Viber works on all kinds of phones and tablets. Provides very compact and easy to use interface for better user experience. Offers free of charge voice and video calls from Viber to Viber account. Provides customizable contact list for friends, family, and colleagues. Includes top class privacy and security facilities for better communication and data sharing experience. 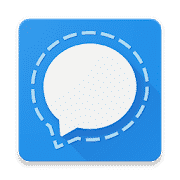 You can open groups and chat with friends instantly, also provides interactive icons, GIFs and icons for creative texting. 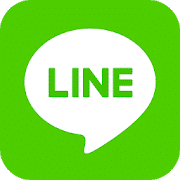 Line is a social messaging app available in Android, PC, and Mac Os. It is equipped with versatile access and top-notch privacy for communicating with your contacts worldwide. Line provides free voice and video calling facilities for Line app to app connectivity. Offers international phone call at a very affordable rate and free calls over Line app using WiFi. Provides group chat and group video calling options with the video recorder. Includes customizable stickers and live touch option over video calls for better user experience. Integrated with multi-connectivity and the wide range of access from your desktop to phones and tablets. Keeps your data and shared files safe in the personal storage space provided by the app. Didn’t you ever hear the name yet? It is really surprising if you say, yes. However, mo is a versatile free Android video chat app. It has become so popular that people are now using it not just for personal use but also for official use. imo.im has offered this app with an amazing set of features that must impressive any Android user. Provides a very high-quality video chat option with high resolution. Options for messaging and voice calls are also available. An easy and faster way to share photos and videos with friends. Offers tons of emojis and stickers for you. You will enjoy group video chat with friends and family. Here I have another option for you in finding the best video chat apps for Android. 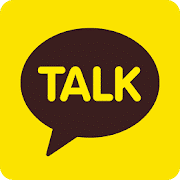 Meet KakaoTalk. It is also a very popular and versatile app, constructed for providing service of a video chat app. It is free, fast, and very easy to use. Again, it is available not just for Android but also for iOS, Windows OS, Mac OS. So, you can give a try on it. 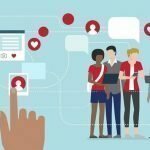 You can build a friendship with over 150 millions of users worldwide. Provides group video chatting option with an unlimited number of friends. For fun, you will be offered voice filter options. Will work like a text messaging app alongside voice calling option. Any kind of internet connection is accessible. Lastly, I want to introduce you with Signal Private Messenger, another stunning video chatting app for Android. 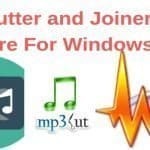 This app is fully free to install, use, and update. Also, you will find it very easy to operate, and the systems are also very perceivable. A good number of breathtaking features are packed with this amazing app. It demands no extra login as it uses your phone number and address book. Let you enjoy group video chat. Options are available for voice call and text message. Very secure and anyone can verify the security code. Easy to use and optimized for speed. So, what do you think about these useful and handy Android video chat apps? Do you make your choice? You can try Messenger if you are on Facebook. 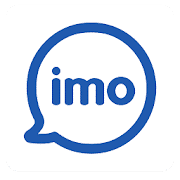 Again, Viber and Imo are also good to give a try. 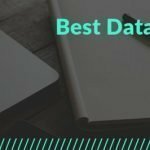 To be true, none of the apps from this list is bad. So, you can rely on any of them. Let me know if you have any question left and let me know which one you are using. I will eagerly wait for your response.